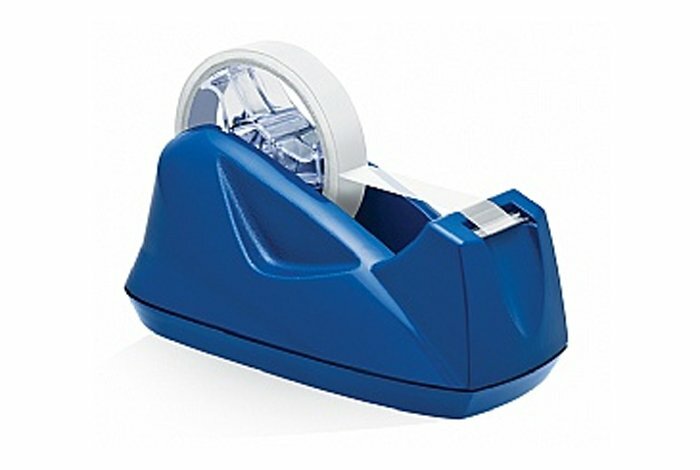 The People’s Choice is an award chosen from the top scoring products from the North American Office Products Awards 2018. These are exceptional products have delighted the judges and now it is up to you to choose your favourite. The winner of the People’s Choice award will be announced at the SP Richards’ ABC in San Antonio, Texas on 21 August 2018. It is a real honour to win this award so make sure you vote and help us reward a great product! Post-it Extreme Notes are designed to facilitate communication in tough conditions. Made with ultra-strong Dura-Hold Paper and Adhesive, Post-it Extreme Notes stick securely to a range of textured surfaces including raw wood, brick, cement, tile, steel and more. They are durable, writable and water-resistant, so notes can withstand extreme conditions both indoors and outdoors. Swingline SmarTech Stack-and-Shred shredders take the Stack-and-Shred’s time-saving and productivity enriching feature to the next level by sending notifications to the SmarTech app on a user’s phone or tablet, communicating the status of the shred job. 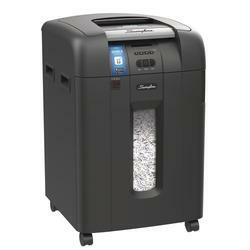 The app will notify users when the shredding job is completed or if anything else needs attention, such as a full bin, an door open, oil needed or a shredder jam that needs to be cleared. The First Aid Only SafetyHub requisition app simplifies supply requisitioning and keeps first aid cabinet details at users’ fingertips, so they can stay organised and in compliance. Including several innovative features, the app has a central management portal where managers can clearly see the status of all safety items within their organisation. 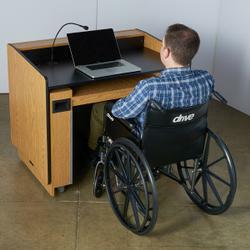 AmpliVox’s ADA-Compliant Sit to Stand Lectern accommodates individuals who use wheelchairs as well as those who stand. A powered lift adjusts the lectern’s height anywhere from seated (31”) to standing (41”). The height adjustability also allows the lectern to be used as a desk, with a wide configuration that provides a spacious table work surface. AmpliVox’s Classroom Audio System delivers crystal clear sound amplification for conference rooms, training rooms and similar spaces. The wireless system includes a ceiling tile four-speaker unit, delivering room-filling 360° sound from a single unobtrusive source. 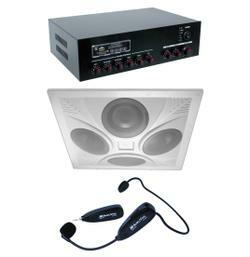 The speaker pairs with AmpliVox’s 2.4 GHz Universal Digital Wireless Headset/Handheld Microphone, plugged into a seven-channel mixer/amplifier for simple volume, treble and bass control. This dual-purpose Ergonomic Sit Stand chair mat combines the comfort and ergonomic benefit of anti-fatigue support foam with the smooth rolling surface of a full size traditional chair mat. Designed specifically for use with adjustable height workstations, this full-size chair / anti-fatigue mat allows users to transition seamlessly from sitting to standing, while promoting better ergonomics, healthier workers and increased productivity. Always-ready touch-free hand soap dispenser with energy-on-the-refill. 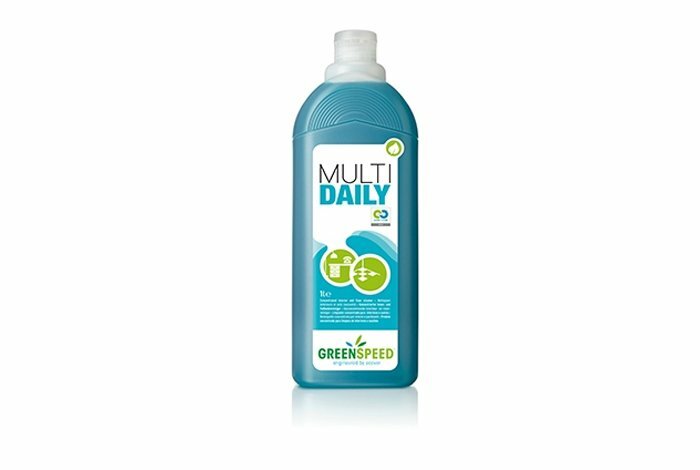 Each new refill comes with its own energy source – a coin cell battery integrated into the refill. Optional SMARTLINK™ modules add capability for service alerts, compliance monitoring and other upgrades as technology evolves. Elegant design complements décor. AT-A-GLANCE™ refills provide the easiest way to see when refills need to be changed. Supporting the latest technology, while extending the life of your docking solution investments, Kensington has engineered the SD4700P Universal USB-C and USB 3.0 Docking Station using the most stable and trusted technology. 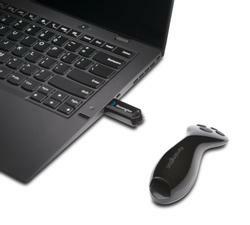 Accommodating the latest computers with USB-C ports, while also accommodating legacy computers with USB 3.0 ports, the SD4700P Universal USB-C and 3.0 Docking Station is the ideal docking solution for computing environments transitioning to USB-C.
Kensington has engineered the SD5200T Thunderbolt 3 Docking Station for both Windows PCs and Mac. 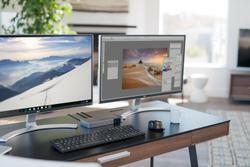 Accommodating a single Thunderbolt 3 cable carrying up to 40Gbps of data, which is enough bandwidth to simultaneously run two 4K monitors at 60fps, while also providing up to 85W of laptop charging, the SD5200T Thunderbolt 3 Docking Station is a power user’s solution for hyper-productivity. 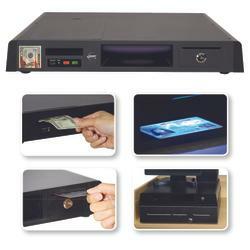 The Kensington Ultimate Presenter is a presentation tool that works for a variety of environments and screens. Overcoming the shortcomings associated with traditional laser pointers, such as bright LED screens or safety restrictions, the Ultimate Presenter is optimized for use in conference rooms with TV displays, online meetings with remote participants, and large auditoriums with multiple presentation screens. MetroVac’s DataVac Electric Duster is positioned as a greener, more effective and cost-efficient alternative to “canned air” products. 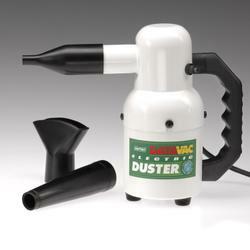 With no ozone-depleting propellants, the electric duster is a compact yet powerful computer and equipment duster, designed to blast dust, dirt and debris off of your expensive tech equipment. 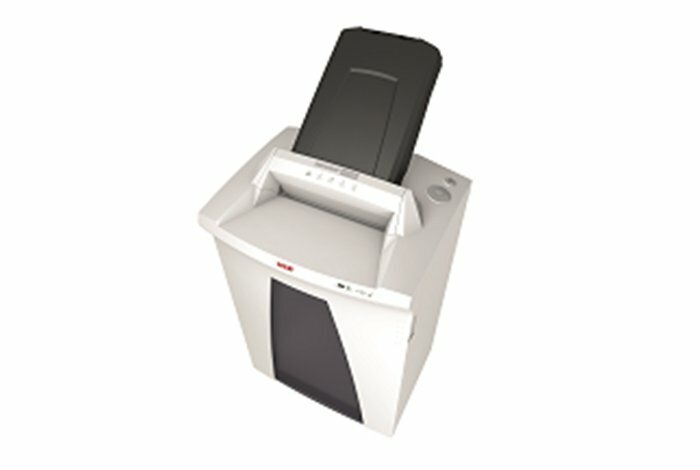 The multipurpose product features a 500-Watt motor that is ideal for keeping keyboards, computers and other technological equipment clean. According to the US Department of the Treasury, there are $70 million of counterfeit notes circulating in the US The TruVue™ Verification Station is a multi-purpose counterfeit detection solution that verifies payments and identification. It minimises loss from receiving counterfeit currency at the POS station; eliminates liability from accepting fake identification; and improves efficiency by streamlining the validation process without increasing checkout times. 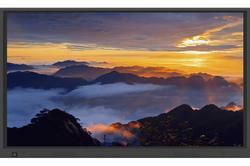 The TRUTOUCH VN Series is the latest model of next-generation collaboration non-proprietary interactive displays from Newline Interactive. It has an optically-bonded screen to provide more accurate touch response and wider viewing angle, and each display comes in 4K ultra-high definition, easy-access I/O ports, and a customisable user interface to make everything simple and easy to use. 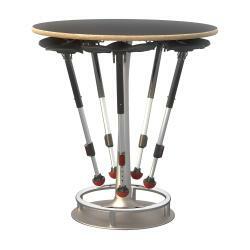 Safco’s Collision Table is perfect for quick meetings, informal gatherings, collaboration, lunches or breaks. 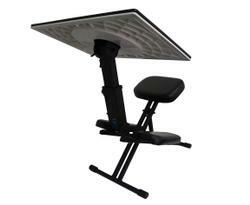 The standing-height table allows for the option to stand during use for a more active work option. It includes discreet steel hooks under the tabletop for holding up to five Mogo Seats. The Fidget Active Stool gives way to a new type of ‘staying busy’ at work. With the ability to twist, rock and fidget, this active option keeps you moving, engages muscles and can help the user to maintain focus. The stool is available in three different heights to suit a variety of users and including a foam, pan-style seat to keep the body in a neutral, open-hip position for optimal comfort. Twist into a more active day with the Safco Focal Twister Active Stool. It has a curved base that allows users to rock, twist and fidget to help keep the body active and the mind engaged all day. The Twister Active Stool responds to customers’ demands for seating options that answer the body’s desire to move, while honouring the brain’s desire to stay focused. 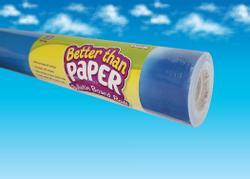 Better Than Paper is a non-woven fabric that makes creating beautiful bulletin board backdrops quick and easy. The lightweight material is simple to hang with no more struggling with paper that wrinkles and tears. Users can attach border trim, accents, posters and student work with staples or tape and remove without ripping or leaving conspicuous holes. 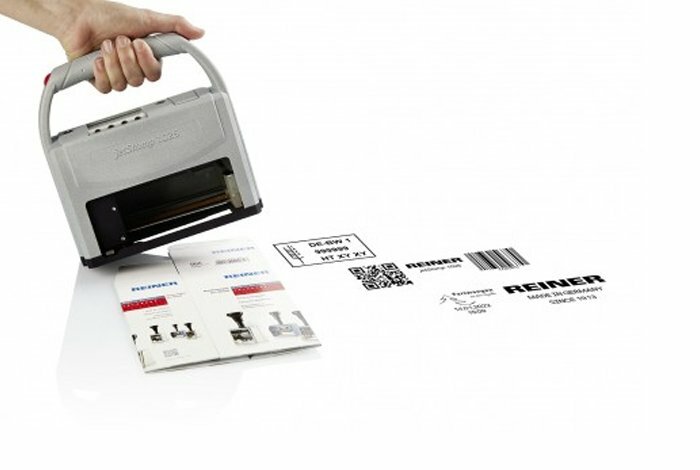 The durable write-on/wipe-off surface can be used again and again. The Edge Desk System offers the ideal integration of personal comfort and office space efficiency by combining a portable, folding desk with a kneeling chair that expands and collapses. 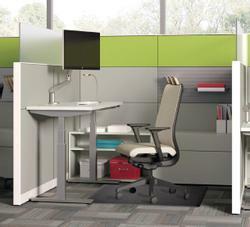 Designed to accommodate a variety of users’ comfort, the Edge Desk’s height, angle and tilt adjust to individual body size and desk preferences, making it the most customizable and comfortable work experience available. This exciting programme rewards the very best vendors and dealers operating in North America. 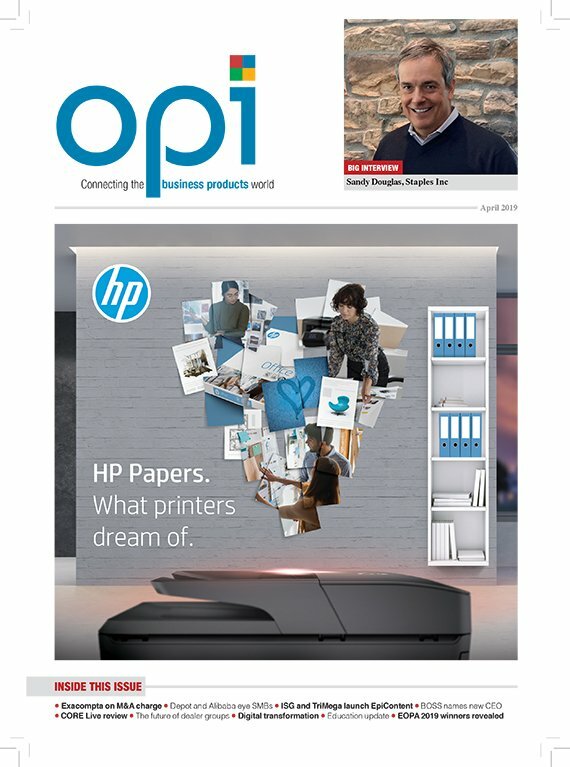 The NAOPA were launched in 2010 by Office Products International (OPI) magazine in association with SP Richards Company. Now in their eighth year, these awards now set the industry standard and aim to find the best products and leading dealers in the industry. There is no charge to enter the awards so don’t miss this free marketing opportunity. You don’t have to be an SP Richards vendor or dealer – you just need to operate in North America to qualify so you have nothing to lose! There is just a simple online entry process to complete. For more details see Categories. SP Richards’ ABC is the largest annual event for North American dealers and attracts more than 3,000 attendees every year. A panel of senior resellers will review every entry so this is your chance to get your product in front of the people who count. The winners and shortlisted companies will raise their profiles to all ABC attendees as winners will be announced at the Gala dinner taking place at the end of the show. Shortlisted products will be further profiled during the ABC EXPO, bringing greater visibility and recognition to winners and finalists, and additional signage will be displayed within vendor booths. If that’s not enough to convince you to enter, the shortlist will be announced in a special feature in OPI magazine, Independent Dealer and on OPI.net and this will be followed by additional coverage of the winners by OPI. Award winners will therefore receive the highest recognition among their customers. Do I need to be an SP vendor or dealer? If you are not an existing SP vendor or dealer you are still invited to enter the NAOPA and, if you are shortlisted, attend the ABC. We will contact you nearer the time to make arrangements for this. If you would like to receive any more information on the awards, judges, categories or entry procedures just contact us directly. Make sure that you enter now and raise your profile in the independent dealer community. There will be six awards presented at the NAOPA 2018. There are three vendor categories and three dealer categories. You are invited to nominate the best talent you have encountered in the industry. This may be an employee from your organisation who has had a significant impact on growth, productivity and morale. It could be a business owner who is growing their business, using innovative techniques and really making a difference both in the industry and their community. Alternatively, you can nominate an exceptional executive working for a customer, supplier or partner. What we are looking for is an outstanding executive who has the potential to influence the future of the independent dealer channel. This award seeks to recognise the achievement of a person who has made an outstanding contribution to the advancement of the office products industry over the course of their career in OP. 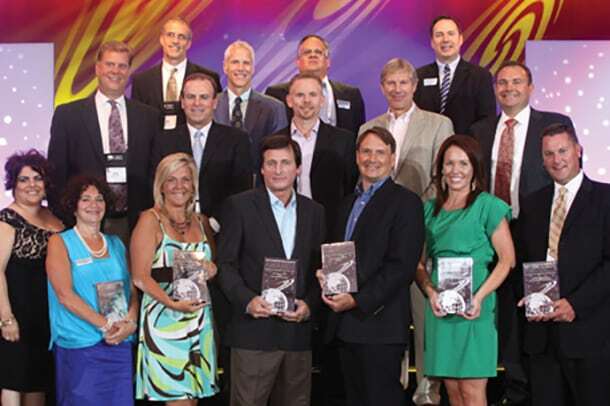 This inspirational individual may have been instrumental in the success of an organisation, or has helped advance the dealer channel in North America through their dedication and commitment. The business supplies industry needs young and dynamic individuals to ensure its continued success. This is your chance to reward a young executive (35 or under) who is making a real impact in their business and maybe the sector too. We are looking for individuals that are not only making a difference where they work but are also taking part in the wider OP community. This may be through associations, charities or dealer organisations. You can nominate a colleague, customer or you can enter yourself. We will be looking for the best product in any vertical. This category is open to products from Core OP, FBS, MRO, Furniture, Education, EOS or any category that is available to sell in the business products channel. It might be a new product or one that has delivered strong revenue for many years. We want to see excellent product development and value for customers. Nothing determines the success of any industry more than innovation. It is the lifeblood of our sector and without it we become commoditised. These awards seek to discover the truly innovative products and ensure they receive the recognition they deserve. “Innovations” can include products, technology solutions, significant enhancements or supply chain innovations. The product must have been launched in the last two years. You cannot enter this award directly. The shortlisted products from the above categories are automatically entered into this award and the winner is chosen by a public vote. This will give all resellers the chance to vote from the shortlist for their choice for the product of the year. So if you would like to win this award make sure you enter one of the above product categories. The North American Office Products Awards are open to any companies or individuals headquartered in North America or with a physical presence in North America. The manufacturing process, where applicable, can take place elsewhere but the company must have a real presence in the North America. You may enter the same category multiple times. Please complete the online entry form by answering all the questions listed, providing as much relevant information as possible. Only information provided on the entry form will be sent to the judges. Entries are treated in the strictest confidence. Judges will not be allowed to adjudicate in any category where they may have a conflict of interest. The judges reserve the right to switch submissions between categories if they feel it is appropriate. The judges may decide not to bestow an award in a particular category. The shortlist will be announced by 15 June 2018. Winners will be announced at the SP Richards’ 2018 Advantage Business Conference (ABC) from 19-22 August 2018 in San Antonio, Texas.